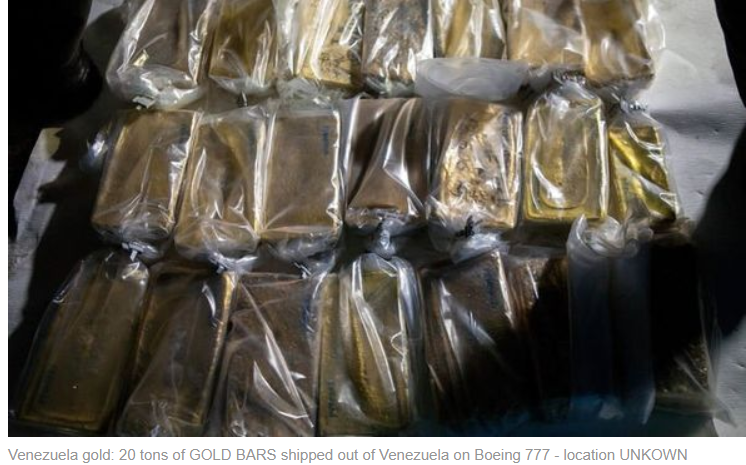 Last Tuesday a Venezuelan politician tweeted that a Russian Boeing 777 had landed in Caracas intending to transport 20 tons of gold stored in the central bank. The embattled Venezuelan president’s hold on power is looking very tenuous. The US, UK and several European countries have publicly supported National Assembly leader Juan Guaido as interim president. On Monday the United States slapped sanctions on Venezuela’s state-owned oil company, PdVSA, which the US believes to be a vehicle for embezzlement. The oil sanctions are expected to affect about $7 billion in assets immediately, and another $11 billion this year, CNN said. US purchases of Venezuelan oil will be blocked. For Venezuela, the loans avoided a debt default, while helping Rosneft to lessen the pain of US and European sanctions against the company. In fact Russia has become Venezuela’s new banker, states New York Times, replacing China, which has given up making loans. 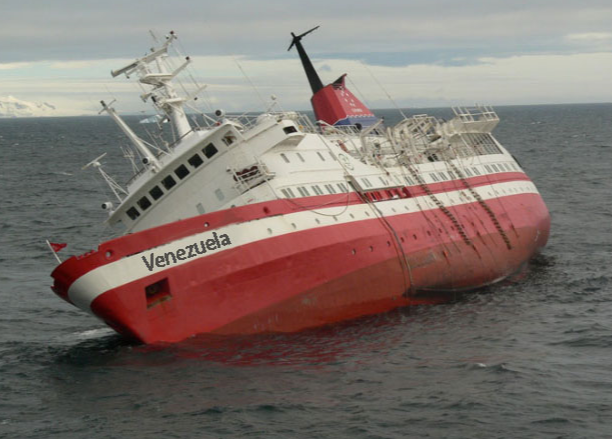 PdVSA used the Russian money to keep producing oil. The Kremlin is trying to take advantage of a weak regime by cozying up to Maduro, offering financial aid and military support, thereby gaining influence in the region. At Ahead of the Herd, we’re a little more cynical, and we always follow the money. A little digging reveals some interesting truths. 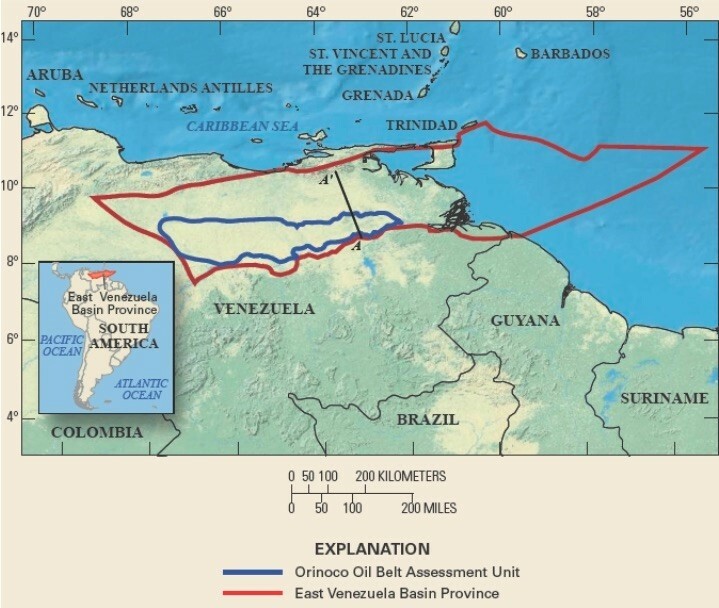 At the end of December Oilprice.com reported a confrontation between the Venezuelan navy and two Norwegian ships conducting seismic work in the waters off Guyana – next door to Venezuela. The move comes as ExxonMobil and its partner Hess Corp. are spending heavily to develop a string of oil discoveries off the coast of Guyana. The discoveries encompass some 5 billion barrels of oil reserves, and offshore Guyana has quickly jumped to the top of the priority list for ExxonMobil. As such, Guyana – a very small and poor country on the northern coast of South America – is home to one of the most active and attractive offshore plays in the world. Putting a pro-Western government in power would also help to develop the Orinoco Belt – a heavy and extra-heavy oilsands region the size of Costa Rica. Venezuela has 298 billion barrels of proven oil reserves, the largest in the world; most are in the Orinoco. Not only is there a lot of oil, it’s also easier and cheaper to produce than Canadian oilsands, because it doesn’t contain bitumen, the oily sludge that is hard to process. 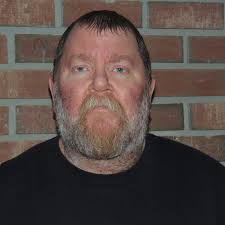 But the oil is still expensive to extract (like Alberta, it has to be open-pit mined or pumped to surface using horizontal directional drilling). In the 1990s Chavez brought in foreign companies for their technologies, but in 2006-07 he took control of the industry, despite big investments from ExxonMobil, Chevron, ConocoPhillips and BP. He gave PdVSA 60% of the four best projects in the Orinoco, enforcing the order by sending troops. Exxon and Conoco walked away and sued (eventually getting compensated), while the others stayed, content to hang onto 40% stakes, the Financial Times reports. 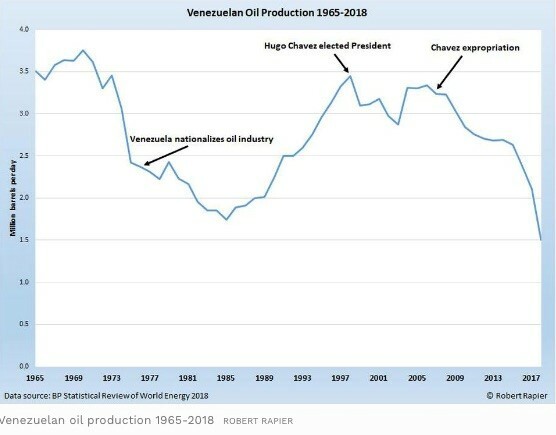 According to Forbes, Venezuelan oil production has slumped to 1.5 million barrels a day, just over half of what is was before 2006. What do you do when your country is falling apart? If you’re Venezuelan President Maduro, you find bullion to sell, or use as a bargaining chip. This is a sad state of affairs especially for the people who must be enduring a monetary hardship the equal of Weimar Germany. But on the other hand, it’s a solid vindication of gold. You don’t see Maduro trying to sell bitcoin to pay the bills.